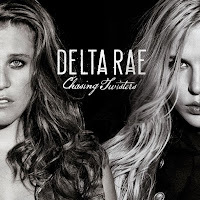 Helping Hands Rock Reviews: Album Review: Delta Rae Goes Musically Where Others Fear To Tread With "Chasing Twisters"
Album Review: Delta Rae Goes Musically Where Others Fear To Tread With "Chasing Twisters"
Most of us have seen them on TV. They are the brave, maybe a little crazy, people that venture to places that others fear. They get as close as they can to tornadoes for the thrill of recording them and sharing what they captured with anyone who cares. Over the past couple of years, a certain band has, much like storm chasers, been bold enough to go where other artists haven't dared to tread stylistically. That band is Delta Rae, a six-piece group hailing from the Raleigh-Durham, North Carolina area - the same stomping grounds that produced Kat Robichaud, a recent top 10 contestant on Season 5 of The Voice. Before their breakout debut album, 2012's Carry the Fire, even came close to running its course, the band has returned to the virtual record bins of iTunes with a new release, the five-song Chasing Twisters. With a sound that is a country mile away from where most bands conservatively plant their roots, Delta Rae's music is as difficult to categorize as it is impressive. Blending elements of country, rock, gospel, and the roots music one might imagine being sung by slaves in the pre-Civil War South, the unit makes it hard to stop listening as you try to figure out what they are going for musically. The EP starts off with its galloping title track. A dark mood enshrouds the verses before giving way to a big, harmony loaded - and kind of rocking - chorus. The rock element of this song is somewhat reminiscent of Fleetwood Mac. But its swirling funnel cloud of other elements make further comparisons impossible. "Run" has an ever-so-slightly more familiar Americana sound. However, a few back-and-forth time signature changes throughout the song make it clear that Delta Rae is comprised of schooled musicians, not just template-adhering players. The eye of a storm, found at its center, is a calm section, more moderate than all the weather that surrounds it. There is clearly a parallel with Chasing Twisters because its middle track, "If I Loved You," is much poppier and mainstream sounding than the four aurally groundbreaking songs that serve as its bookends. That's not to say that the song could blend in unnoticed with the pop radio landscape - the melody and choiresque harmony vocals give it a hymn-like feel. If your inhibitions are low, you just may find yourself clapping your hands and being in the mood to give praise. But the double time bridge that segues into a softly-sung reprise of the chorus show that Delta Rae isn't exactly allergic to incorporating standard pop song constructs into their music, either. About Death," this would be it. The lyrics declare, "When I die, I don’t want to rest in peace/I want to dance in joy, I want to dance in the graveyards, the graveyards/And while I’m alive, I don’t want to be alone/Mourning the ones who came before, I want to dance with them some more/Let’s dance in the graveyards." If "If I Loved You" was the eye of the storm that is Chasing Twisters, the closing track, "I Will Never Die," is that storm's leading edge. This tune showcases Delta Rae at their most distinctive. The swampy melodies, muddy slide guitar, percussive chains, and call-and-response interactivity between the lead vocal and gang vocals are all set atop a slow beat of a thumping, mallet-pounded bass drum to transport the listener back to a time period when basic human freedoms were a yearned-for dream and not an entitlement. 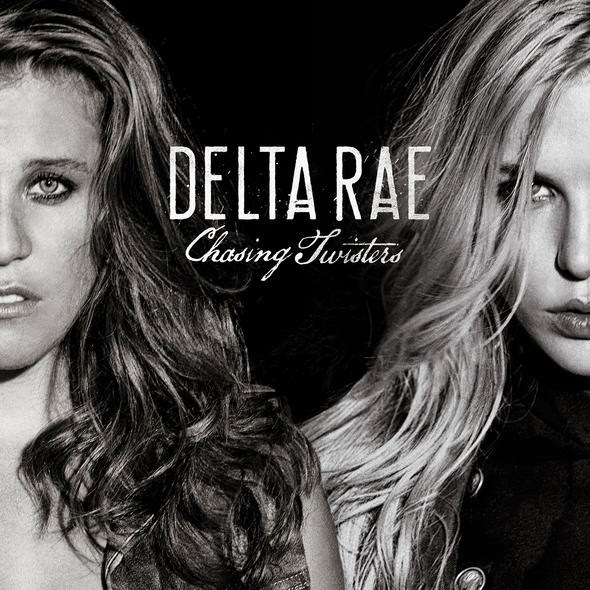 With this last song - and, really, with the entire EP - Delta Rae illustrates their creative bravery by staking their claim to unoccupied musical ground. But instead of being bulldozed by an oncoming destructive tornado, they appear to be poised to be embraced by a cyclone of love and acceptance from a growing fan base not concerned with the common need to pigeonhole musical acts into an easily-defined genre. # of Facebook page "Likes" for Delta Rae at the time of this writing: 44,603.